I will also provide a compatibility CD that will allow the game to run under ALL VERSIONS of Windows 10, 8, 7, Vista and XP, both 32 and 64 bit. This enhanced CD version replaces the original polygonal vector graphics with 3D animation. 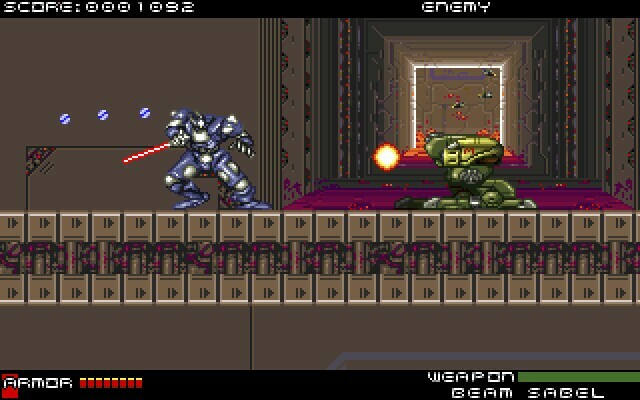 The two robots unique gameworlds adds a degree of replayability to the game. 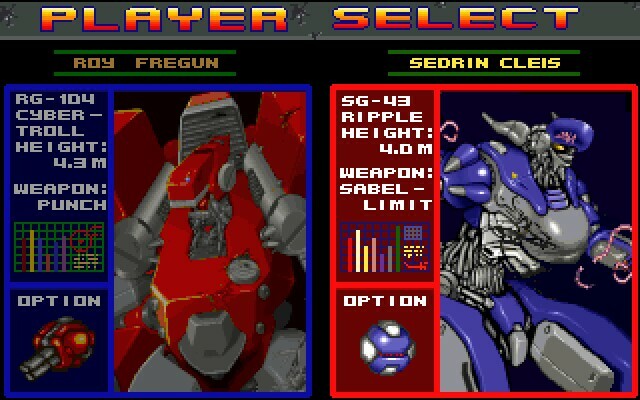 But the fact that the two different mech warriors are so different is also very cool. The first one is very powerful and is armed with a plethora of weapons, but is unfortunately slower than molasses in January. The second one is its polar opposite, being quick and light, and only wielding a sort of laser saber for defense and offense. Iron Blood also features some attractive graphics for mid 90s vintage. The robots are well rendered and interesting, as are the backgrounds. The musical score is up tempo and catchy and the other sound effects are also good. While there is no story to drive the user forward, the action and game play takes adequate care of that. 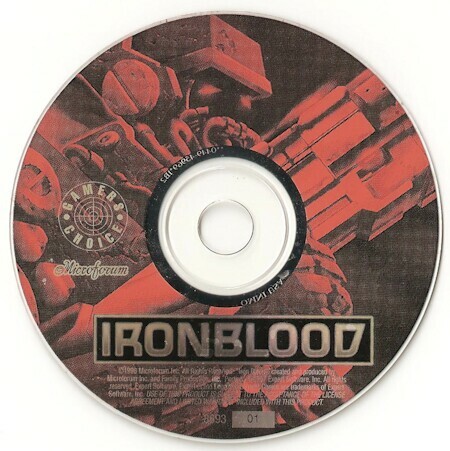 Overall, the variances and challenging game play make Iron Blood a satisfying game.